For over 15 years, Memphis Invest has worked hard to provide excellent customer service to our clients, residents and vendors that we work with. This week, Kent and Chris Clothier discuss the processes behind the scenes that we have in place to make sure that we are always providing fanatical, radical customer experiences. Hear why we strive to be the best at what we do, and how we got to be the top rated turnkey provider in the country! At Memphis Invest, we have always said that we are a customer service company that is in the real estate investment business. That means that we've always put relationships, trust and communication at the forefront of what we do. One of the ways that we are continually improving ourselves and our team, is by studying and discussing materials that will educate us on becoming better leaders and communicators. A book that Chris mentions in this episode of the podcast, is Good to Great, by Jim Collins. The concept is essentially, 'why do other businesses and leaders succeed while others don't?' We'd definitely encourage you to read the book, but essentially the message is that most great companies have a culture that consists of disciplined people that conduct themselves in a professional, disciplined manner. This is something that we try and practice everyday at Memphis Invest! You can order your copy of The Turnkey Revolution, the first book release from Memphis Invest chronicling the best advice on how to safely build a passive portfolio from real investor experiences! When Kent Clothier started Memphis Invest 15 years ago, our customer service department consisted of 2 people. Now, having a team of 9 people, each of our customer service reps connect with our investors every month. While clients can call and email at any time and get assistance for all their needs, we make a point to pick up the phone and reach out to our customers to get that personal connection. Because at the end of the day, if you don't trust and connect with your turnkey partner, you're probably not going to be as successful and confident with your investments. We not only strive to go above and beyond for our clients, we have created this mentality with our residents as well. When our property management team has a new resident sign a lease for one of our properties, we send them a survey to make sure that we met and exceeded their expectations. And if we don't, we have someone meet them at the house to correct the situation, have our property management team arrive with a gift and an apology for falling short on our commitment. That is how much we care! We want to be sure that our residents are satisfied, because their good experiences will only improve your investing experience. Lastly, in addition to wanting to serve our clients and residents better, we ran an audit of our 2017 vendor invoices, and found discrepancies that helped us better streamline our processes. Whether the error was in our favor, the clients' favor, or the vendor's favor, we made sure to make each situation right. With $35 MILLION in vendor costs, this was a huge undertaking, but this audit was something that we wanted to do to make sure that we were providing the best, most accurate information to our vendors and clients. We made sure to correct any errors and we believe that most companies our size wouldn't even dream of being so transparent and willing to learn from (and fix) their mistakes. We believe this shows our fanatical dedication and commitment to open communication with everyone we do business with. Bottom Line: Kent and Chris say it best, 'our biggest competitor is ourselves'. We strive to always do our best work, focus on refining our processes, and committing to excellent customer service experiences. Some might say that we are 'fanatical' in the way that we constantly change and shape our company to better suit the needs of our customers. Get the details on how we became a GREAT company to work with, all by focusing on the details and building relationships! Transcript available below the video. Kent Clothier: Hello, everybody. 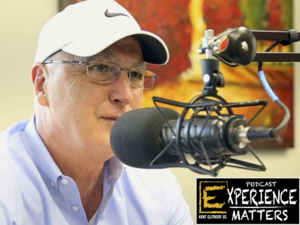 Welcome to the next edition of the Experience Matters Podcast. I'm your host, Kent Clothier, Senior. I have one of my sons, Chris Clothier, co-hosting with me today. We'll hear from him in just a second. I also wanted to tell you that you'll find us today on iTunes, SoundCloud, the Memphis Invest website, and YouTube, by searching for Experience Matters Podcast. Again, welcome today. Chris, how you doing? Chris Clothier: Doing good, man. Thanks for letting me join you. Kent Clothier: So, we're going to get into a couple of things that are near and dear to us today, and I'll let you kind of start it off here as we get going on this edition of ... Oh, and by the way, we have over, just a couple things real quick, Chris and I will jump back to you. We have over 40,000 people that have reviewed our audio and videos of this podcast, 35-plus episodes. And this one will be up in a day or two. And thank you for listening, thank you for following us, and take it away, Chris. Chris Clothier: Yeah, yeah. 35, did you say 35 episodes? You're at 35 now? Kent Clothier: 35, maybe 36. Chris Clothier: Something like that. All right. So I figure, and I didn't have the numbers because I didn't look beforehand, but I figure that we've probably talked about customer service six of those times, eight of those times; maybe 20% of the time, we're talking about customer service. Would you agree it's probably been a big, heavy topic? Kent Clothier: It's been several of them, yes. Chris Clothier: Well, whether it's a real estate investor or an entrepreneur, you know, because you have so many listeners, Dad, that are both sides of your audience. Some people are listening because they want to duplicate what's been built here, and others are wanting to use it, you know, to their advantage, use it as a service that they can invest with, right? So, this is ... As I was looking at this, I've been reading. Again, I went back, and I started reading Good to Great again by Jim Collins. You know, that's a quick little shout-out for that book. If anybody listening hasn't read it, it's almost a must-book if you're going to be an entrepreneur. But you know, Dad, it got me thinking about, and I know this is kind of a mouthful, but it got me thinking about the way that we treat customer service, because we often tell people, "What are we? We're a customer service company that's in the real estate business," right? Chris Clothier: So, but it's ... You know, and I know that we've talked about it, but I wanted to give some examples today to people, so they could understand that we are, we're fanatical about customer service. And it's not, you know, I was blown away a little bit because so many people probably think it's, when we say customer service, and what we talk about, what we're known for is calling a client every month, so that high level of communication. But it's so much deeper. I mean, customer service is really, it's absolutely a part of our company. It's part of the fabric that makes us who we are, right? Chris Clothier: Wouldn't you agree? And so, I thought today, Dad, you know, we've got a 20-minute podcast here, I thought we would kind of dive in real quickly, and give some people some real-life examples of some things that they, maybe not, that they don't think about. Maybe they don't know that this is what we mean when we say we're fanatical. Fanatical isn't just hiring 10 people to work in your customer service department, although that's a pretty big department now, wouldn't you say? Kent Clothier: Yeah. I think we have three, five, maybe eight ... No, I think we have about nine people in customer service, eight or nine. Chris Clothier: Eight or nine, and we have the ... Well, if you include Nate, who runs the department, that's your nine. And then we have, on the books already, number 10 to be hired and trained to be up and going in the fall. So, and back when we first did that, Dad, your idea ... How many, did we have customer service person or two? Was it one or two that we started off with? Kent Clothier: I think it was one, and then we added two within a year, I think. Chris Clothier: Yeah. And I'll never forget, this is what people aren't going to know, so we used to have our company-wide meetings, and back when we had 17, 18 people that worked for us, we're at, what, 90, we're over 90 team members today, right? Chris Clothier: So, we would sit down with 17, 18 people, and we would study. We would read a book, something about, whether it be about sales, or whether it be about better marketing, whether it be about customer service. And we really focused in, three or four times, on customer service books. And so when we put that person in customer service, one of the things that you used to say was, you didn't care how long that person spent on the phone with a client. Is that right? Kent Clothier: Exactly right, whatever it took. Chris Clothier: And what was the thought process of that? I mean, what were you thinking when you were saying that we didn't care? Kent Clothier: I want them to build a relationship. I want them to build rapport. I want them to build a foundational experience with the, at that time, on that specific thing, the client; building that relationship, that if we built trust and we built rapport, then these people would continue to buy second, third, fourth, and fifth, all up to 10, 12; and today, we have customers as high as 30 properties with us. Chris Clothier: Yeah. It's all about, that's the difference. It wasn't about, it was never about, "Let me call you and tell you just what's happening with your portfolio," but it was, "What's happening in your life? Let's build a real relationship. We're kind of forcing this relationship, because you're an investor and we are managing your investment, but let's make it about more than that. Let's make it real, add some depth to it, you know?" Chris Clothier: But that was a conscious decision that we had. And so, what that became was a customer service department. But because we were ... And something that we would talk about in our weekly meetings, but because it became so ingrained and so important to the company, as we started focusing on those four key, main groups, which were our vendors, our team members, our clients, and our residents, suddenly, we found that customer service was way more than just the experience of the client; way more than just calling a client every month. And that was really, you know, it came from that commitment to studying. It came from that commitment to being different than any other turnkey company out there. I mean, there's not another. There's just not. I mean, this isn't a knock on anyone at all. I'm sure there's some great turnkey companies out there, and we're familiar with almost all of them. Many of them have come to us for training on how to be better companies. But that doesn't mean that the fact that there's not another company like us isn't still a fact. There's just, there's no one that has the commitment to this level of customer service that we do. And we know that, you know what I mean? And I thought, Dad, we would give your listeners two or three more examples. And specifically, I thought we would talk about the audit that we've done. I thought we would talk about the surveys that we're doing to our clients. But then, what I know is going to blow the listeners away is the surveys we're doing with the residents. So, I thought, you know, you were real big on the audit. I thought I'd let you talk a little bit about what that meant, and we can talk a little bit about what it's meant to our clients; like the reason why we did it, and how that really fits service, you know? Kent Clothier: So about six or seven months ago, we started internal audits of our vendors, just going back for a year and checking invoices against prices that they gave us. And we'd been doing that for six or seven months. And we found thousands and thousands of dollars worth of miscalculations, or errors, or whatever you want to call it; some that we made, and some that our vendors made. And we actually found money that we owed some vendors, which was a good thing. And we actually found money in the audit that we had overcharged our investors, inadvertently. And talking about a few hundred bucks here, and a few hundred bucks there, and we were able to go back and refund several thousand dollars to our client, invested by some mistakes that a vendor might have made in billing or invoicing us. Kent Clothier: ... on move-outs and renovations. And the move-outs and maintenance, of course, is directly reflected to the investors. And the rehabs and renovations are money that we pay, prior to ever selling it, so there were some mistakes in there, too, on some money. Then, there was also some stuff that we found where we owed the vendors back. So that was a good thing for us, and it continues to be ongoing. Chris Clothier: So again, to be clear, we put somebody in our company whose sole job for whatever it was, six months, every day, was invoice auditing. I mean, they were taking every invoice and auditing them. And the reason why it's so important, for everybody out there listening, is that when you talk about transparency, for a company to sit here, and you just said it there, Dad, there was, you know, I think it was roughly $35,000 in errors, one way or the other, that we found through those invoices, when you're talking about almost $40 million in paid-out dollars, in invoices from our vendors. Kent Clothier: 52nd, 51st, 52nd year, yes, in business, yep. Chris Clothier: And over 40, if I'm not mistaken, 40 ... How many of those years have been as an entrepreneur? Kent Clothier: ... 17 and 18, 35 years. Chris Clothier: Yeah, so 35 years as an entrepreneur. It takes 35 years as an entrepreneur to know that checking invoices is part of customer service, going back. And there was no necessary reason to audit. We didn't find anything crazy. I know you were looking for crazy. You were thinking that it might be, you know, six figures. And you were certainly expecting that that may be the, you know, what to expect when you're doing 40 million. We came up with whatever the number ended up being, 35,000, some of it, like you said, some of it, we were owed. Some of it, we owed vendors. And some of it was owed back to clients, but you know, that's a big thing, and a very transparent thing to talk about; the fact that when you're a big company, and you want to be radically committed to providing great service, you do those things, right? That's why I thought it was ... No one, certainly no one listening to this podcast, and no one outside of our company even knows that we had somebody, full-time, doing that for months. Our vendors did. And you know what was really interesting, Dad, is that some of our vendors were appreciative of it. They thought it was really big, kind of keeps them, helps them improve their process. Kent Clothier: Yeah, a couple of them didn't like it, though. Chris Clothier: Yeah, that's true. Kent Clothier: But it was, kind of caught some of them off ... You know, we've been doing business with a lot of our vendors for over 10 or 12 years. And we came along, and we let them know in advance that we were auditing in one year of invoices, going back. And the person that did it did a thorough job of it. And again, in some cases, we owed the vendors money. So, yeah. Chris Clothier: Well, what's interesting is, some of those vendors that didn't like it, they thought they were being questioned. And what was really, what I thought ended up being really good about it in the end is that those vendors who weren't happy about it ended up being the ones that had no issues. I mean, they were on top of their stuff. They had their processes buttoned up pretty tight. Chris Clothier: So, well let's, I want to talk about two other things, then, Dad, you know, because that's one example for your listeners of a radical, fanatical commitment to customer service. Something else that we started doing, that I think has really, really revolutionized the way we operate as a company, was that survey we started doing to our clients. And we do the survey after closing. And the survey is very particular about the process they went through. So for those listeners who have never bought a house from us, or kind of understand what this means, when an investor buys a property from us, it doesn't matter if it's their first one or their 30th one, we survey them on their experience. We want to know, was the house, you know, do they feel like the communication was good? Was the house specifically picked for them? Did they have any issues with the timing? How was their communication and performance of the lender, if there was one involved; the closing attorney, the notary? We want to know how the insurance went. We want to know their entire process. And it hasn't always been perfect. That's been the thing. We're striving, we can get graded on a 1 to 10 scale. And you know, we ask what we think is two very important questions; one, we want to know that we've earned the right to continue doing business with that investor and help them continue building their portfolio. We also want to know that we've earned the right for them to, the confidence for them to be able to tell others about our company, right? Kent Clothier: That's exactly right. Chris Clothier: And so, I mean, talk a little bit about why you wanted to do that. And then, let's talk a little bit about what happens when it's not perfect. Kent Clothier: Well, let's take the first one. We do a survey every time a client closes on a purchase from us. And they buy the house, and they close on it. And like Chris says, there's a lot of questions that we ask on the survey, because not only do we expect to have a high level of excellence, we expect our closing attorney, we expect the home inspector, we expect the notary, maybe, that comes to their resident, we expect the insurance relation. So, we're looking for how the complete experience went on the closing. And then, we send them a digital and, I believe, an email survey for them to fill out and send back to us. And then, those are brought in here, into our executive meetings, where we review every single one of them to the Clothier family. And what we're looking for is things that we can do better. We know we're not perfect. We know that every part of our processes, with 90 people working for us, sometimes people make mistakes, and everybody is human. But we want to bring out these mistakes. And as Nick Saban says, "We want to learn from a failure," and not that it was a complete failure, but it was a mistake or some type of failure in our system, to where we didn't get a perfect 10 on the survey. And those of you that have heard me talk over the years, I'm looking and chasing excellence all the time, in all parts of our operation. So, we want to figure out what we always can do better, even though we have 5,000 houses that we have now purchased in the first 15 years. And what can we do to make the experience better for our investors on that particular survey? On the survey that we do for our residents, which we started this year, is that when a resident closes a house that they have rented from us, they get the same type of survey. And we want to know how their experience was. We want to know how their house looked when they rented it, what they liked, what they didn't like, what we could do better; how was the rental representative with them, how did that go, how did their online closing go, how did their house looked when they moved in; was it clean, was it fresh, and so on, and so forth. So, we have this survey. And they've come back, and they've been pretty good, overall. But every once in a while, we'll find a survey that, if it's not a 10 or a 9, I believe, today, is that our property manager, Nate, or Ryan in Dallas, we're going to the house to meet with the resident. And we may take them a gift card, or some flowers, or whatever, to go out there and find out exactly what we could have done better on this house and this experience; because we know that if the resident has a good experience, they're going to renew their lease with us. If we treat them right, we do the right thing, we service them, we handle their maintenance costs, we show them that we're genuinely interested in their wellbeing at the property, and we're doing the right things, they're going to stay with us. And we've seen that. And that, in the end, is a good thing for our investor. It continues to accelerate his or her return. It continues to be a level of excellence that they're going to tell other people about, the investor. And even the resident is going to tell other people that they may know that wants to rent a house about the experience that they had with us. Chris Clothier: Yeah. I want to make, I don't want to run through that too quick, because you jumped straight to that second survey, which is great. I want people to understand really kind of what that means. We're on pace ... We know through seven months this year, that if we maintain what we've been doing, we're on pace to have a record low number of move-outs in a year for our company. And we're managing 800 houses this year, on average, more than we did last year. And we're going to have fewer actual move-outs, not just by a percentage, but by the number. You know what I mean? Kent Clothier: And that's a good thing, again, for our owners. Chris Clothier: That's not by accident. That doesn't just, you cannot just make that happen. That happens because you are fanatical about the experience of every single element of your company. This is a resident, as you just said, Dad, that if you make their experience right, they're not going anywhere. They will pay more for our houses in the same neighborhoods as other investment companies because of the experience they have with us. They'll stay longer. They will not be transient. They won't be late. They won't miss out at the percentage that they will with other companies because of the experience they're having. You know what I mean? Chris Clothier: And it's, you know, we talk about these things. And sometimes, we talk about it in a very generic way. I wanted people to hear this today because, you know, we know that ... And not to talk about, I'm not going to mention any names, but I'm going to say it just for a second here ... that we know how difficult this is to manage 5,000 properties. We've got, what, 3,600, 3,700 in Memphis at this point, or maybe a little less. Chris Clothier: A little less than that, 3,300, 3,400. And you know, we chuckle to ourselves. There's another company here in Memphis that manages, they advertise they manage about 1,600 to 1,700 homes. And they, for whatever reason, have kind of tried to mimic a lot of the marketing, a lot of the talking points that we have. And they talk about how they have a 2% vacancy rate. And they talk about their average length of occupancy and all these different things. And so we know, on the streets, that what we see and what they say aren't the same thing, especially on there, when their website has 171 properties available, and they're managing 1,600. That sounds like an 11% vacancy rate to me, not a 2%. But you know, some people have to say it. They just have to say what they think they have to say to attract attention. And what I wanted your listeners to hear is that there is, behind the scenes, what actually happens to make this work is so incredible. And it's not, as you'll often tell people, Dad, you and I, we don't do anything as far as customer service goes, as far as the way it's delivered to our clients, or the way it's delivered to our residents. All we do, all you've done from the head table is set the tone. This matters. The experience, every single person, from the vendor, to the client, to the resident, to our team, the experience they have matters. And when you are fanatical about the way you deliver that experience, that is the ultimate, ultimate definition of customer service to me. Kent Clothier: Well, just to bear down a little bit harder on it, because I am so fanatic about it, when we have our 1:00 meeting every day, and our property manager, Nate, is in here, and Ryan is on the call, and we've had a ... Let's say that we've had a survey that came back that was not an 8, 9, or 10. Chris Clothier: The project manager, yeah. Kent Clothier: One second. And I don't care about that you're working on it. And now, we're seeing that our guys come in here, "We've already been to the house this morning." We had one last week, where they went to the house and met the lady at 11:00. And she was shocked when they brought her a gift card and some flowers, but, "Show us what you were talking about, because we don't want you to have a bad experience." That's how fanatic. Chris Clothier: Yeah, there's a lot of stories, Dad, through the years, that have been told about you. You know, you kind of, I don't know how they've all started. There's a lot of stories about you out there, about the way ... I think there was one about, we have a video of you kind of throwing some trash across the street, went, "No trash in front of the house." And you were upset with it being on the curb. We'll add one more to the story, which was, and this happened, as you said, just a couple months ago, when they walked in and said they were going to handle it. And you literally sent everyone out of the meeting. "You're leaving now, and you're going to the house right now to meet with that resident, apologize for our failure to be excellent." And now this week, we had an example where someone, it wasn't that bad, but it wasn't perfect, and before we even knew about it, as you said, our team, our senior team members had been there. They delivered flowers to the young lady that rented the house from us. I think they brought her cookies. And they, you know, just for everybody on the call, that doesn't fix the problem. We fixed the issue that she had. And this was our effort to show her that, hey, we care about your experience. This is our apology. We brought our team. This is fixed. That's fixed. We will do better going forward. It's just, and that, the truth of it is, is that resident will not move out of that house unless they are forced to by some circumstance of life, or maybe they can buy their own home, or something like that. But as long as they are renting, they will rent from us because of that kind of service. Kent Clothier: The other part of that is that, part one is going, and meeting with the resident, and showing you care. Kent Clothier: Part two, after we've taken care of that, is why did this happen? And to me, that's just important as part one. So, we had a situation where it wasn't perfect. And we missed this, or we didn't this, or that wasn't done. Whatever they were, minor things, why did that happen, how do we improve it, how do we get to excellent, how do we prevent it from happening again? And you get the two or three people, and you take them there, and you let them see it; and realizing that this is going to come right at the highest levels of our company, with the Clothiers, we're going to be involved in every one of these surveys, because this is not who we are. We're striving for excellence. We want our residents, our employees, our vendors, and our owners to have a great experience with us. And when any of those four people, four groups of people, don't, then we're going to be all over it. We're going to be all in it, because we know when we make all four groups of those people happy, and we do the right thing, and we treat people the way we want to be treated, then we're going to build a really good business. And when you get off of that, you've got to go fix it quickly. Chris Clothier: Yeah. I'll tack this onto what you said right there, and I think that we're probably getting towards the end here. The thing that I really take away from what you just said, Dad, is that I do believe, having read this book so many times, that we have created a good company that has become great. And now, with all the things that you're talking about, and the way that we're watching our team perform and learn, it's becoming great to enduring. This is something that will be here, can be here for a very, very long time, because it's not good enough anymore to just be a great company. Now, you want to be a company that can endure and can last. Kent Clothier: ... but to me, with all due respect to them, the only competitors we have is ourself. And that's performing at the highest level, whether it's our investor that we're talking about on this podcast, or our residents that we're talking about, we have to make their experience better than anybody. And now, it goes back several years ago when we were at an event, and people said, "Do they really do all that stuff? Is that really, do they really do all of that?" Come on in and see what we do. We have had four, five visitors this week, and I'll tell anybody listening on our podcast, all you have to do is contact us. You want to come in and do a tour of our offices in Memphis or Dallas, and see what we do, this is exactly how we run a business. This is exactly how you build a business. We're a $100 million company today; on schedule out to the first seven months of this year, to do over $120 million. And this is how you scale a business. You take care of the details. You keep everything focused. You stay involved. You don't disengage. You engage with all the people, all the moving parts of your company, especially customer service, and you can build a phenomenal business. Chris Clothier: Excellent. Well, thanks for having me on here, man. This was, I enjoyed digging deeper on this one, man, so that was good, I think. Kent Clothier: Well, I appreciate you being on here. Again, thank you, everybody, for listening to the Experience Matters Podcast today. And again, we want to remind you again that you can find us on iTunes, SoundCloud, the Memphis Invest website, and YouTube. Chris Clothier: Hey, this is going to start being published on our BiggerPockets blog. We have a blog on BiggerPockets, the Memphis Invest blog. And I'm going to, these podcasts are now going to start being published there as well, so. Kent Clothier: So, the last few podcasts I've plugged your book. Do you want to talk about it there? You want to give a little book plug here? Chris Clothier: Yeah, yeah. The Turnkey Revolution, it published back in May. I think it sold about 6,000 copies, now, in the first eight weeks, or however long it's been. Maybe it's been nine weeks out now. Yeah, it's not a ... Look, for anybody out there listening, it's not just a plug for Memphis Invest. It talks about what makes Memphis Invest great. It talks about how an investor out there can passively build a portfolio, using a proven method for determining if the turnkey company, or the property, the city itself, is a good investment. That's it. So, anybody that's looking to learn a little bit more about turnkey, or wants to learn how to do it successfully, pick up a copy of The Turnkey Revolution. It's online at Amazon.com. It's on our website if you want a signed copy. And it's also on Barnes and Noble, I think. So, yeah. Kent Clothier: Very good. So, grab you a copy of that. And again, thanks, everybody, for joining us today. Have a great day. Thank you.